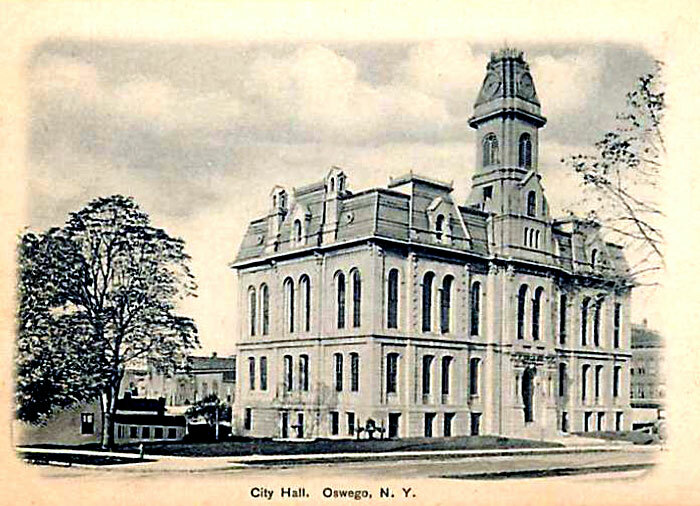 The Oswego City Hall is located at 13 West Oneida Street. Built in 1870, it is constructed of Onondaga limestone, is three stories high and features a Mansard roof with a central clocktower. It was designed by architect Horatio Nelson White and cost the city about $100,000 to build. 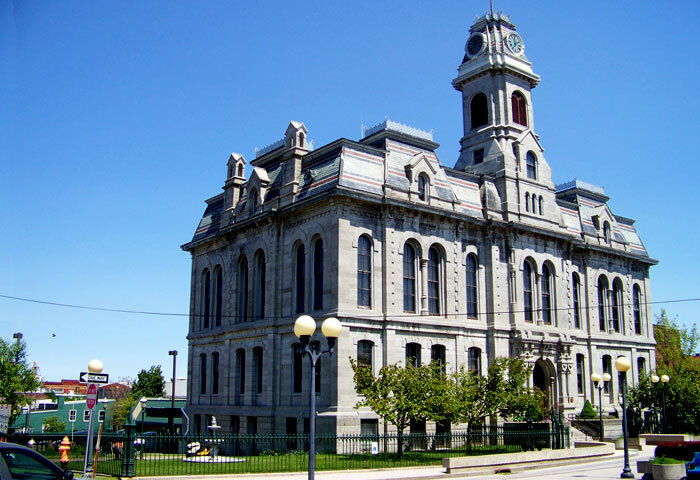 Upon completion, it initially housed the city jail and police department offices, the offices of municipal authorities, the board of education and the council chamber.